Is Facebook Destroying the American College Experience? Sitting with a group of graduating high school seniors last summer, the conversation turned to college roommates. Although headed off to different schools, they had a similar experience of learning their roommate assignment and immediately turning to Facebook to investigate that person. Some had already begun developing deep, mediated friendships while others had already asked for roommate transfers. Beyond roommates, all had used Facebook to find other newly minted freshman, building relationships long before they set foot on campus. At first blush, this seems like a win for students. Going off to college can be a scary proposition, full of uncertainty, particularly about social matters. Why not get a head start building friends from the safety of your parent’s house? What most students (and parents) fail to realize is that the success of the American college system has less to do with the quality of the formal education than it does with the social engineering project that is quietly enacted behind the scenes each year. Roommates are structured to connect incoming students with students of different backgrounds. 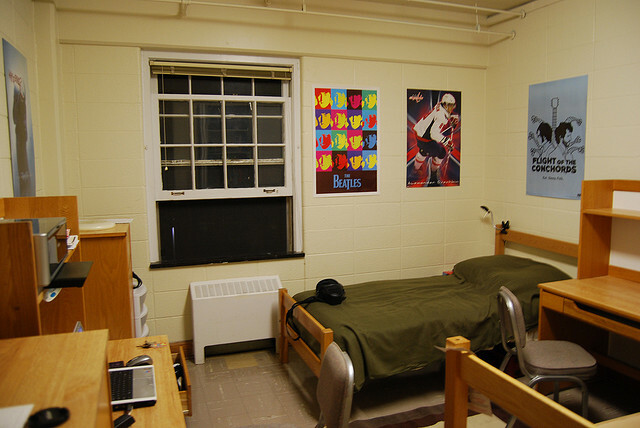 Dorms are organized to cross-breed the cultural diversity that exists on campus. Early campus activities are designed to help people encounter people whose approach to the world is different than theirs. This process has a lot of value because it means that students develop an appreciation for difference and build meaningful relationships that will play a significant role for years to come. The friendships and connections that form on campuses shape future job opportunities and help create communities that change the future. We hear about famous college roommates as exemplars. Heck, Facebook itself was created by a group of Harvard roommates. But the more basic story is how people learn to appreciate difference, often by suffering through the challenges of entering college together. When pre-frosh turn to Facebook before arriving on campus, they do so to find other people who share their interests, values, and background. As such, they begin a self-segregation process that results in increased “homophily” on campuses. Homophily is a sociological concept that refers to the notion that birds of a feather stick together. In other words, teens inadvertently undermine the collegiate social engineering project of creating diverse connections through common experiences. Furthermore, because Facebook enables them to keep in touch with friends from high school, college freshman spend extensive time maintaining old ties rather than building new ones. They lose out on one of the most glorious benefits of the American collegiate system: the ability to diversify their networks. Facebook is not itself the problem. The issue stems from how youth use Facebook and the desire that many youth have to focus on building connections to people that think like they do. Building friendships with people who have different political, cultural, religious beliefs is hard. Getting to know people whose life stories seem so foreign is hard. And yet, such relationship building across lines of difference can also be tremendously transformative. To complicate matters more, parents and high school teachers have beaten into today’s teens’ heads that internet strangers are dangerous. As such, even when teens are turning to Facebook or other services to find future college friends, they are skittish about people who are discomforting to them because they’ve been socialized into being wary of anyone they talk with. The fear-mongering around strangers plays a subtle but powerful role in discouraging teens from doing the disorienting work of getting to know someone truly unfamiliar. It’s high time we recognize that college isn’t just about formalized learning and skills training, but also a socialization process with significant implications for the future. The social networks that youth build in college have long-lasting implications for youth’s future prospects. One of the reasons that the American college experience is so valuable is because it often produces diverse networks that enable future opportunities. This is also precisely what makes elite colleges elite; the networks that are built through these institutions end up shaping many aspects of power. When less privileged youth get to know children of powerful families, new pathways of opportunity and tolerance are created. But when youth use Facebook to maintain existing insular networks, the potential for increased structural inequity is great. This post was originally written for LinkedIn. Visit there for additional comments. Interesting post danah. As you said, the problem is not Facebook, but how youth are being “taught” to use the SNS by society. I remember in my senior year at Richmond High School (Indiana) my friends exchanging letters with their potential roommates and considering even changing universities in case they didn’t have a “good” match and good dorms. So if it’s not Facebook, it is going to be something else, like letters. I was born and raised in Brazil, where social divides are explicit and problematic, but no one actually seems too worried in helping the marginalized. We always had the US’ society as a role model, but living in Indiana, first as an exchange student and then as a PhD student, I realized that Americans are also willing to keep the social divide even wider, which is well shown in your post. The universities can’t do much when it comes to “forcing” their roommate match. State funding is decreasing and they need to rely more and more on student tuition fees, so they can’t afford to lose these students. Unfortunately, the university campi, where new ideologies and critiques to our flawed society used to flourish and differences were put aside so brains could discuss ideas, is becoming a mirror of our increasing prejudice and lack of social awareness… just like Facebook. Wow, did you expect such a hearty response on LinkedIn? I’m glad that you’re sharing your work with an even wider audience.